Don’t you hate it when you are ready to call it a day, shut all of your lights off, tuck your kids in for the night… and can’t fall asleep because your dishwasher is too loud? I’ve been there! Believe me! I guess we could add washing machines and dryers to our list as well, but that’s another post entirely. 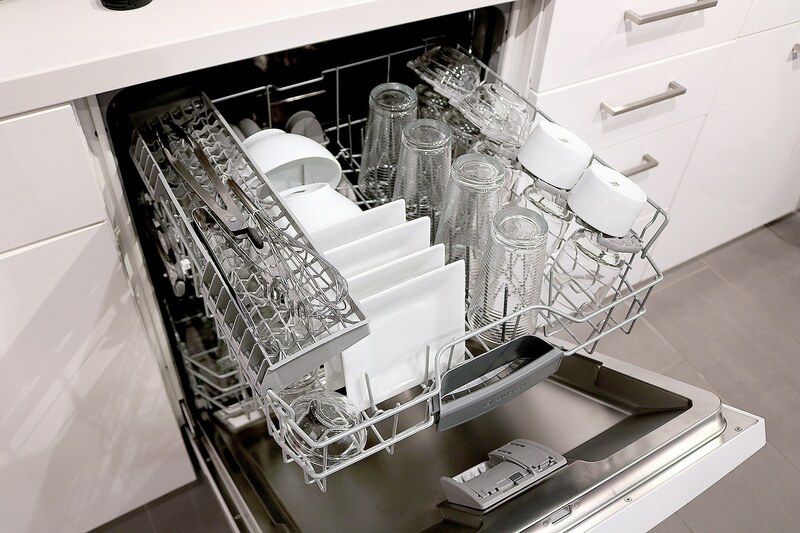 If you are looking for the quietest dishwasher brand in the US, you’ve found the right post! 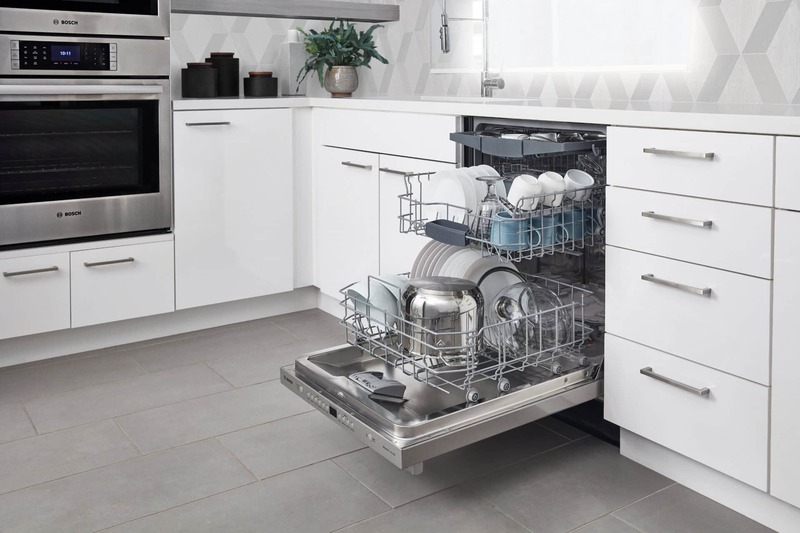 Bosch is the world’s #1 dishwasher brand and it works without needing a lot of attention all thanks to 18 sound reducing technologies. I know what you are thinking. So what! It’s quiet. I need a dishwasher that actually cleans and doesn’t break down on me. Well, guess what. Bosch has the lowest repair rate in the nation according to a leading consumer publication. So, not only is this machine not going to bother you during your day-to-day routine, but you won’t have to worry about its parts and motors. Bosch also owns 5 of the top 10 drying scores out of 160 tested dishwashers by a leading consumer publication. Girl, now you are talking my language! There are a variety of designs and door handle available to fit any kitchen decor. I’m someone that needs lots of options. So, I get you! 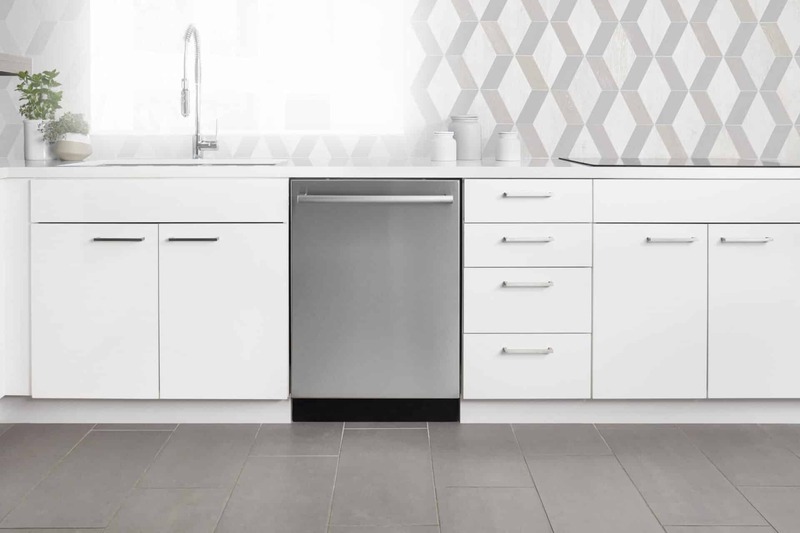 And if you have kids like I do, you will be happy to hear that the fingerprint-resistant stainless steel helps guard against smudges and fingerprints and is easy to clean. Bliss! The InfoLight ® lets you know it’s running. There is a 3rd rack which adds 30% more loading area. Adjustable Rackmatic™ rack provides 9 adjustable positions giving you maximum loading flexibility. Choose Quality for your Home. For more information about Bosch, visit Best Buy. Previous Post: « Do You Have A Few Minutes Today To Help #EndPeriodPoverty ?